Depending on your research interests, please contact one of our program’s professors (Mita Banerjee, Alfred Hornung, Axel Schäfer, Oliver Scheiding). If being accepted as a PhD candidate, one of them will serve as your supervisor and mentor. The duration of an individual doctorate depends on one’s personal schedule and usually ranges from three to five years. Depending on your project’s quality, you may apply for a funding period of up to three years. Funding is provided by Stiftung Rheinland Pfalz, Studienstiftung des deutschen Volkes, DAAD or foundations such as Friedrich Ebert Stiftung, Konrad Adenauer Stiftung and others (see mystipendium.de or visit DAAD’s website Research in Germany). In addition to individual doctoral study, candidates can also attain their doctorates in structured PhD programs resembling those in Anglo-American countries. A team of supervisors is responsible for supervising doctoral candidates. The program offers a curriculum of accompanying courses which are interdisciplinary in focus and promote the acquisition of “soft skills” and additional qualifications. The systematic and intensive supervision offered in our program “Life Sciences – Life Writing” allows candidates to complete their doctoral studies within three to four years. Please refer to the program’s website for more information and contacts. 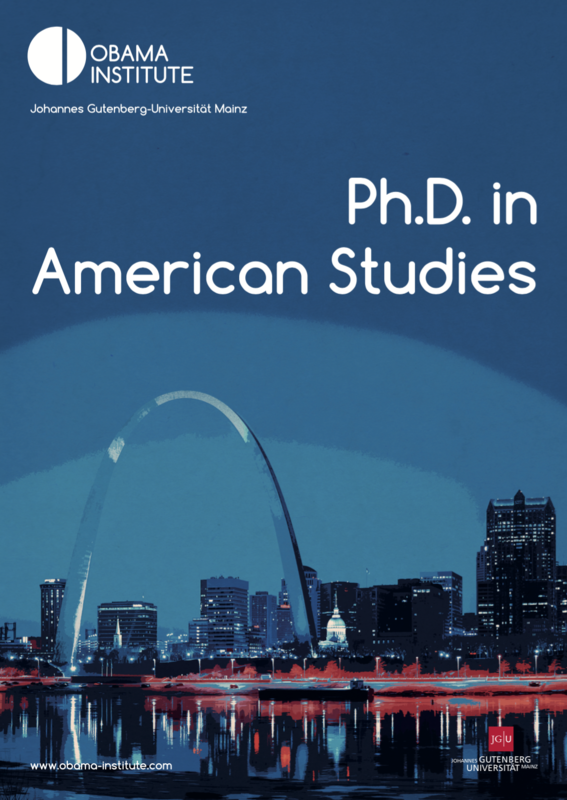 For individual doctoral studies we offer a dual degree in American Studies jointly supported by Johannes Gutenberg-University Mainz and Georgia State University, Atlanta. The three-year program includes a mutual student exchange for 12 months as well as full integration in course work and teaching in the academic programs of both universities. The program is fully funded by both departments and is open to all graduate students who have earned a Master’s degree in American Studies. For application procedures please contact Professors Alfred Hornung and Oliver Scheiding.